Breakfast is the most exciting meal of the day for me. And the Quinoa is one of my morning favourites. This porridge is very special. It is dairy free and made with pumpkin also with no sugar added. It can be stored in a refrigerator for five days, or even frozen. 1. Cook Quinoa as per the packaging cooking instructions but use a little less water. 2. Cut Pumpkin into small pieces and cook on very low heat with 1/2 cup of water until Pumpkin is soft. Mix twice. Spoon should go into the piece without too much effort. 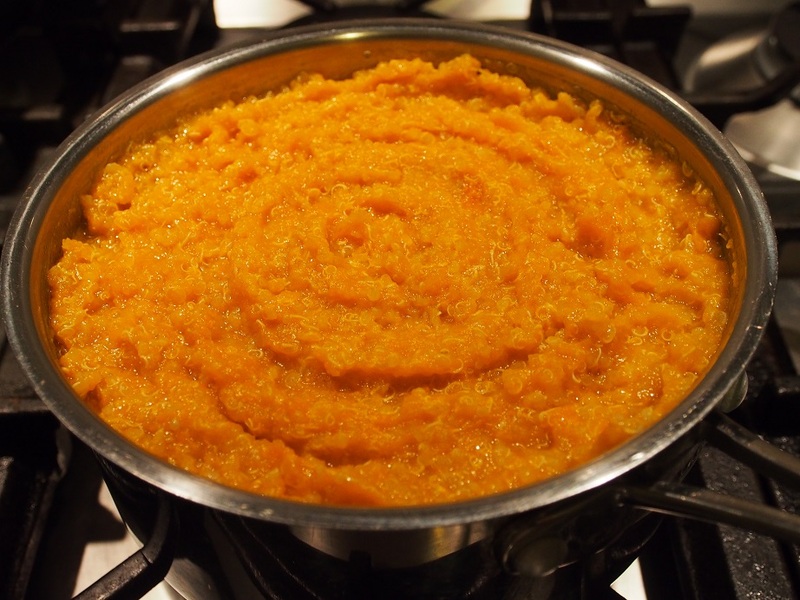 If using baked pumpkin, skip this step. 3. Mix almond flour in 2/3 cup of boiling water, add the honey in then combine all the ingredients in the pot and heat well through the whole porridge.